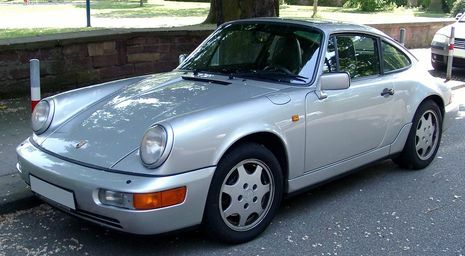 The Porsche 964 is the company's internal name for the version of the Porsche 911 model manufactured and sold between 1989 and 1994. 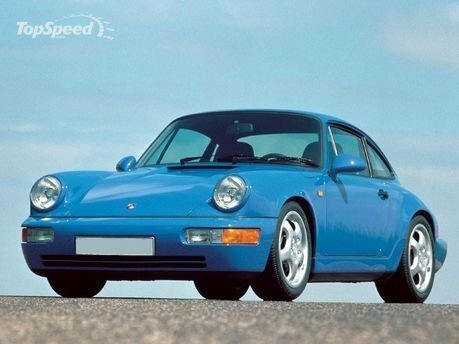 It featured significant styling revisions over previous versions of the 911, most prominently the more integrated bumpers (fenders), although it was still obviously a 911. It was the first generation of 911 to be offered with Porsche's optional Tiptronic automatic transmission as well as the first generation to be offered with all wheel drive. "Type" 964 (nine-sixty-four) or simply 964 (nine-six-four) is in fact the internal code name for the car; the vehicle was badged simply as Carrera 2 or Carrera 4. The official name for the model, as printed on the front of the Owner's Manual, is "Porsche 911 Carrera 2" or "Porsche 911 Carrera 4". The 964 name is now often used to distinguish this car from other generations of the Carrera, especially among Porsche enthusiasts. The 964 was considered over 85% new as compared over its predecessor, the Carrera 3.2. 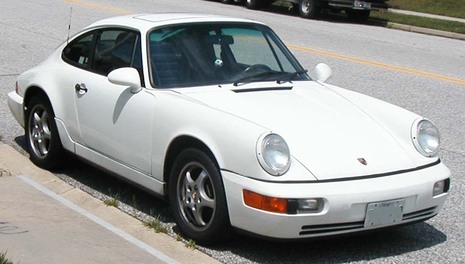 The first 964s available in 1989 were all wheel drive equipped "Carrera 4" models; Porsche added the rear wheel drive Carrera 2 variant to the range in 1990. Both variants were available as a coupe, Targa or Cabriolet. 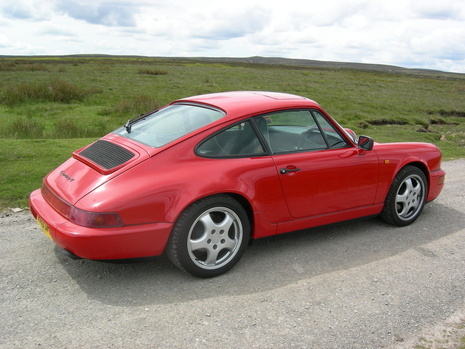 The 964 Carrera was the last generation sold with the traditional removable Targa roof. Later evolutions of the Targa, starting with the 993 generation, replaced that setup with a complex glass-roof "greenhouse" system. A new naturally-aspirated engine called the M64 was used for 964 models, with a flat-6 displacement of 3.6 litres. Porsche largely revised the suspension replacing the rear torsion bars with coil springs and shock absorbers. Power steering and ABS brakes arrive to the 911 for the first time and they were both made standard. The exterior bumpers and fog lamps became flush into the car, allowing for better aerodynamics. A new electric rear spoiler raised as speeds above 50 MPH and lowered down flush with the rear engine lid at lower speeds or when stopped. A revised interior featured standard dual airbags beginning in 1990 for all North American production cars. A new automatic climate control system provided superior heating and cooling. Revised instrumentation housed a large set of warning lights that were tied into the car's central warning system which alerted the driver to a possible problem or malfunction.